Punctuality on Britain’s railways is at its worst for 12 years, with one train in seven failing to arrive on time. According to the latest statistics from the railway industry, the moving annual average of the official public performance measure (PPM) was 86% in the year to 25 August - meaning 14% of passenger trains arrived more than five minutes late, or ten minutes for long distance trains. The figure is the worst annual PPM since it was at 85.8 in February 2006. In the four-week period ending 25 August, the last period covered by the annual figure, the PPM was only 85%. The rail industry has had some well-publicised problems this year, including severe weather in February and March and delays and cancellations following the introduction of a new national timetable in May. However, the operating companies whose passengers were worst affected by the timetable chaos, Govia Thameslink and Northern (pictured), have put in remedial measures and it is not clear why performance appears to have worsened over the summer. One possibility is that speed restrictions implemented during the hot weather, over concerns of heat damage to rails, had impacted on punctuality. 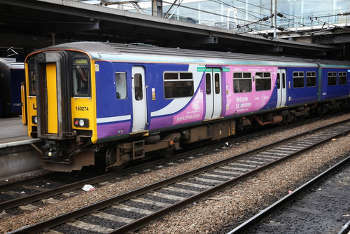 Robert Nisbet, regional director of the Rail Delivery Group, which represents the rail industry, said: ‘The industry is working hard to deliver its long-term plan to drive better punctuality so that more services arrive on time. We are investing billions to ease congestion, reduce delays and minimise disruption.